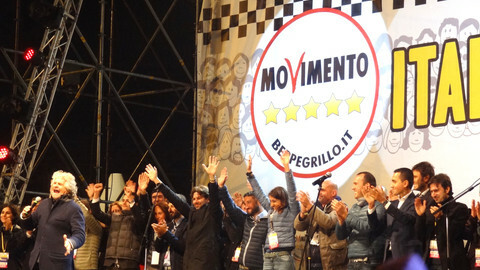 Amid rounds of applause from a press room filled with his supporters, Matteo Salvini, a far right Italian politician, on Tuesday (13 March) laid out a vision for a European Union - which he described as destructive. 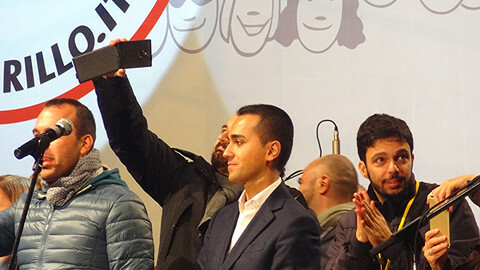 Spurred on by national election gains earlier this month, the 45-year old head of the far right League party has his sights set on becoming Italy's next prime minister. 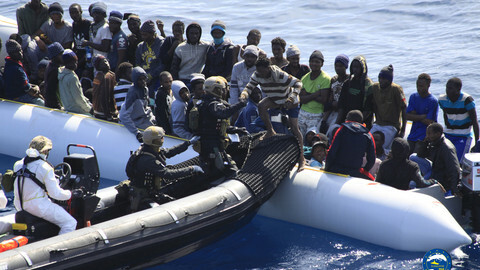 At Tuesday's plenary of the European Parliament in Strasbourg, a combative Salvini laid scorn on the EU institutions, accused journalists of "pumping out the propaganda of the European Union", said next year's European Parliament elections would "give the people the right take back their identity", pushed for warm relations with Russia, said Italy was free to ignore the EU's three percent of GDP deficit target, but opposed an abrupt Italian exit from the euro. "If someone wants to applaud me on that, I would be delighted," said Salvini, who has been an MEP since 2004. 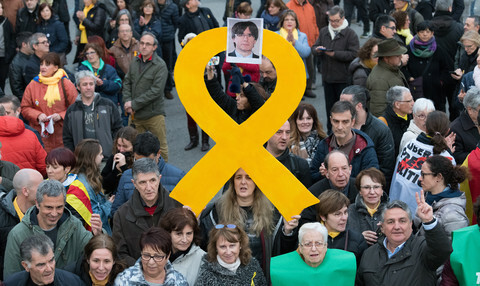 Salvini appeared to cast himself as a man set on reinvigorating the far right and populist movements across Europe following last year's defeat of Marine Le Pen in the French presidential election. 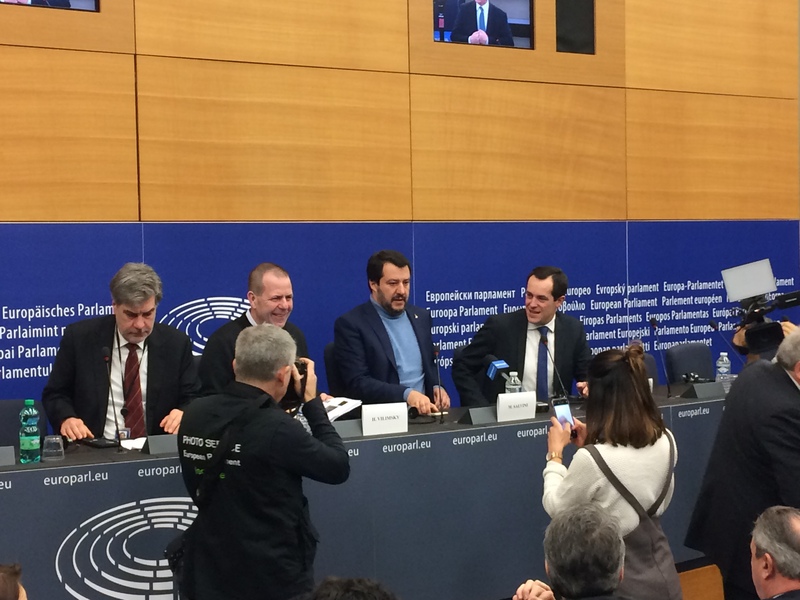 While EU lawmakers in the plenary chamber were discussing the United Kingdom's departure from the European Union, Salvini surrounded himself with other like minded far right anti-EU MEPs. 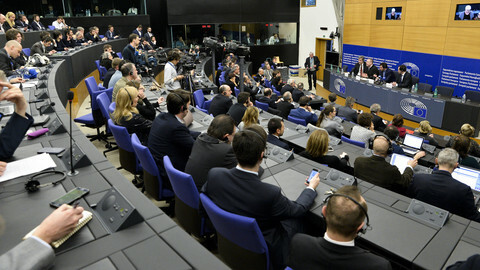 Seated next to him were Dutch MEP Marcel de Graaff, Austrian MEP Harald Vilimsky, and French MEP Nicolas Bay. 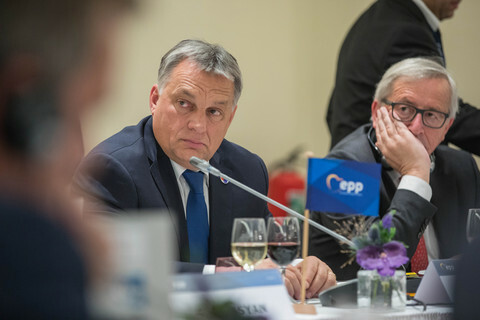 All belong to the Europe of National and Freedom (ENF), a nationalist party bent on unravelling the European Union amid broader fears that migration and the refugee crisis has somehow stripped away their white Christian identity. De Graaff, who founded the ENF, described the EU as a "filthy globalist project" and said the Italian election was a big blow to EU federalist aspirations. 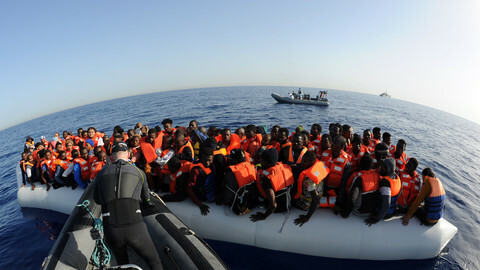 "I hope that the Italian vote will prove to be an initial taste in other countries," said Salvini. 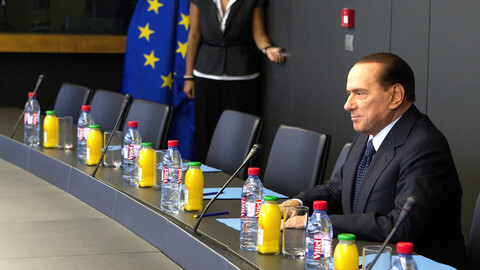 The League, formally known as the Northern League, is now the largest party in northern Italy with election gains throughout the country, including Rome, and has partnered up with the centre-right party Forza Italia, led by convicted fraudster Silvio Berlusconi.